Imagine this, the largest bingo game in history, prior to the Internet Age, took place in the late 1930s and attracted “only” 60,000 players. Just kidding folks, there’s nothing “only” about 60,000 people crammed into an armory trying to correctly place little circles of wood onto flimsy cardboard cards and desperately hoping to be heard while screaming “BINGO.” That’s a huge number of people to be playing any one game at any single time and place. And there would have 70,000 had not the fire marshal in Teaneck, New Jersey turned 10,000 hopeful players away at the door. Which all goes to show what an insanely popular form of gambling bingo was, is, and has been for the entire 575 years since its first appearance in Italy as the Lo Giuoco del Lotto D’Italia. Fortunately, you no longer have to fight your way into a hot, smelly armory filled with shrieking fanatics to play major-league bingo for monumental jackpots. You can do it online, where the number of players is theoretically unlimited, where the chances of being “turned away” are almost nil, and where, most importantly, the chance of you mismarking your card or having your victorious roar of “BINGO” being drowned out by ambient noise is nonexistent. The fact that any Bingo round’s winning combination of letters and numbers is determined by random chance does not, however, mean that there is no strategy involved or that you can’t somehow influence the odds for or against your success. 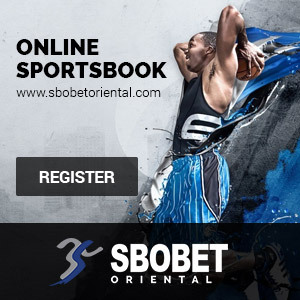 It simply means that all the strategy is “betting” strategy and that the key factor in influencing the odds involves making correct decisions about how, where and what games to play. There are, not surprisingly for a game that has been around over five centuries, many variations of Bingo – a fair number of them, like Chat Room Bingo, internet-only embellishments that make the game more fun and potentially profitable than ever before. As each of the numbers are “called” after being selected from a drum or globe filled with numbered ping-pong-type balls in brick-and-mortar Bingo and by a random-number generator online – players with one of the numbers on their card cover that number with a marker. The first person to complete a straight line across the card vertically, horizontally or diagonally calls out Bingo and wins. While the selection of the numbers in Bingo is purely random, it does not always follow that the first person with the right combination of numbers in the right places on his or her card wins. Correct Bingo strategy in the “real” world has to be defensive never play more cards than you can comfortably manage at once, make sure you are well rested so there won’t be any fall off in hand/eye coordination, get your ears freshly cleaned so you don’t mishear a number call, and be prepared to take a deep breathe and bellow Bingo loud enough to be heard at the front of the room. All this is important because untold tens of thousands of “winning” Bingo hands have never been paid off because the player, busy checking called numbers against five, ten or 20 cards, incorrectly placed a marker, or fell behind and didn’t get his or her winning marker placed in time. Hard as it is to believe, many people, while caught up in the mechanics of a game, have actually placed the final marker needed to fill a line without even realizing they’d just made Bingo. Using the automatic card marking and Bingo calling options available in online Bingo eliminates these risks and enables you to relax and take advantage of some of the other better-than-brick-and-mortar features offered at many online Bingo halls — like the aforementioned online chat games and mini-slot machines for you to play while idly watching the computer automatically mark and track your cards. Online, the Bingo action is non-stop and the competition among operators is so fierce that multi-thousand, even multi-ten-thousand-dollar, jackpots are not uncommon. These days, you’re very, very unlikely to find high-stakes Bingo like that in earthbound Bingo halls. The day the promoters of that long-ago 60,000-strong Bingo bash in New Jersey sweetened the pot by tossing five new cars into the prize pool was over 60 years ago. Which brings us to another strategic question facing all Bingo aficionados, “How many cards should I play?” Before the advent of online Bingo, that was easy: No more than you can keep track of. With automatic scoring, the answer becomes more complex. Bingo, as noted, is a form of lottery. The more lottery tickets – Bingo cards, in this case – you hold relative to the other players the better your odds of winning. The key phrase here is “relative to the other players.” If you’re in a big game with a large potential payout and you buy, say, 50 cards, chances are a lot of the other players are also playing 50 or more cards. So while you’re not really increasing your odds of winning by buying 50 cards (your position versus all the other 50-card holders remains the same) you are decreasing your odds if you buy fewer than 50. For this reason, many players prefer online games where the operator limits the number of cards any single player can purchase (ten is a common number) because they feel such games offer a more level playing field. A similar decision involves the number of players in the game. Most online Bingo establishments tell you how many guests are currently playing. You don’t have to be a math wizard to figure out that the fewer people playing against you, the better the odds that you’ll win. The flip side of that particular coin is equally obvious, a 25-cent (or any other amount) game with a lot of players will have a bigger payout than one with only a few players. The best strategy here is generally to browse a few Bingo rooms to find which is offering the best prize money-to-player ratio at the time you’re ready to play. Another strategic question you will frequently have to face is whether to purchase multiple cards with the same numbers. Clearly, having ten cards with ten different number sets makes you ten times more likely to win. On the other hand, getting a Bingo on ten cards at once means you will win much more money. As always with Bingo, you pays your money and takes your chances. In addition to paying winners based on a traditional straight-line Bingo, online Bingo parlors offer numerous other combinations and propositions – including progressive jackpots for such things as making a Bingo with the first five numbers called – that increase everyone’s chances of winning by producing more than one winner per game. Since these vary from casino to casino, it’s impossible to list all of them, but here’s a few common ones: Drawing a single lucky number before the game officially starts, anyone having that number on their card wins a prize; prizes for filling a four-number square in any corner; and blackout, a game in which all the spots must be covered to make Bingo (a variation popular in “live” Bingo parlors). Bingo, for over half a millennium it’s been used for everything from raising funds to save churches from the wrecking ball, to teaching children multiplication tables, to suckering rubes at county fairs. Today, online, it as much fun, as unpredictable, as totally frustrating and as wonderfully rewarding as ever. 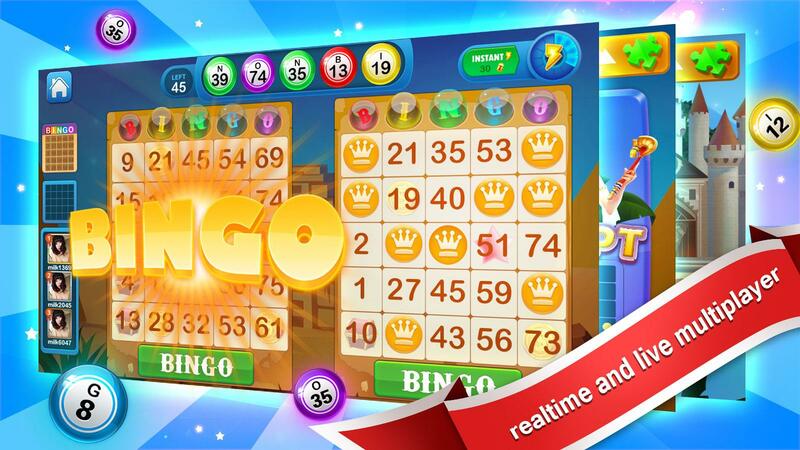 Logon to a Bingo parlor and give it a try today.